SIXTH ANNUAL TCMF KICKS OFF TO FULL HOUSE! Mother Falcon on stage Friday, April 29, to kick off the Sixth Annual TCMF! Austin — A standing room only crowd mobbed the Cafe at Central Market North Friday night as Mother Falcon kicked off the Sixth Annual Texas Community Music Festival. 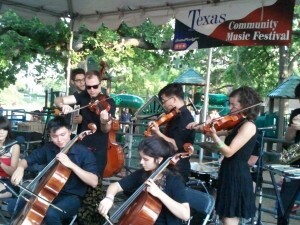 Music lovers of all ages were treated to a fabulous performance by one of Austin’s most eclectic young ensembles, typical of the 2011 lineup at the TCMF. 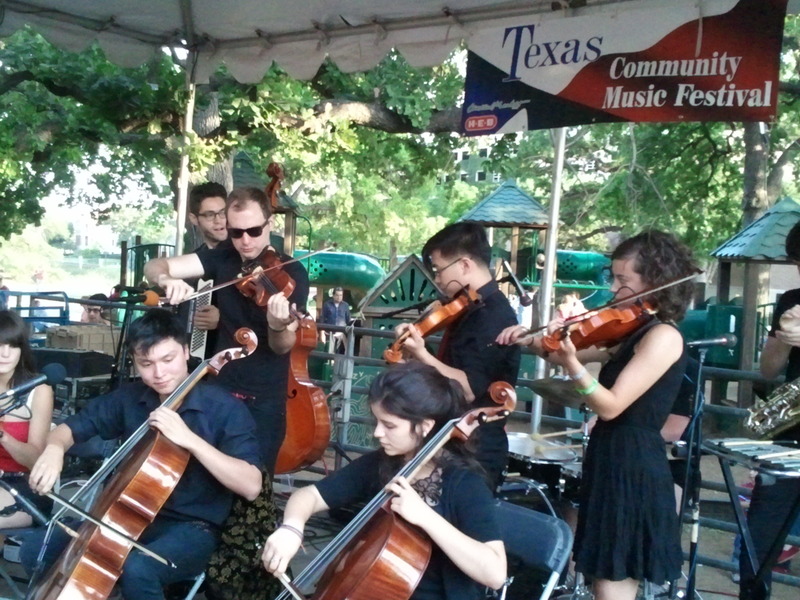 The festival continues Saturday morning at 11am with a performance by the festival host, the Austin Civic Wind Ensemble, the oldest community band in Austin and founders of this growing regional music festival. Saturday’s performances culminate at 7:45 pm with a set by White Ghost Shivers. The Sixth Annual Texas Community Music Festival continues through Wednesday May 11 … and the show will go on, rain or shine! Check the schedule page for more information and make plans to come show your support for the Community of Texas Musicians!